• The difference between framed and frameless construction in cabinetry is the presence or absence of a face frame. 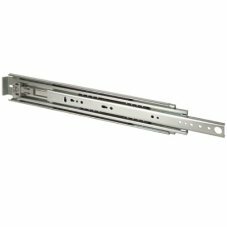 • In a cabinet that has a face frame, the doors and drawer fronts can be mounted inset flush into the frame, partially overlaying the frame, or fully overlaying it. • In frameless cabinetry, the doors are mounted to the sides of the cabinet box and therefore fully-overlay the box. • Both types of cabinetry can be made with engineered wood, plywood or solid stock. • Once installed, both construction types are of equal stability when contructed from comparable materials. • Framed construction can give a more traditional look to your cabinetry; especially the inset and partial-overlay styles. • Frameless construction is often used in contemporary, modern or transitional areas. • Frameless cabinetry is also used in industrial settings like laboratories and hospitals. • Because of the absence of an overlapping frame, the usable width of the cabinet opening is wider using frameless construction. The box volume remains the same. The stiles on face frame cabinets, limit the opening width resulting in loss optimal storage space. • If you are building or purchasing new cabinets, consider Framless Cabinets. 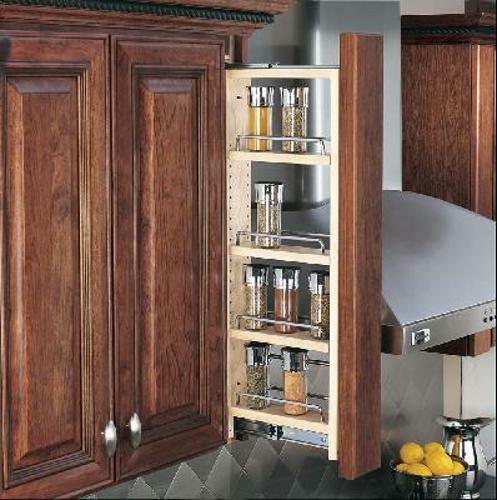 All the space inside the cabinet can be utilized to its full potential.